Taylor Lautner is to be immortalized in wax! The Twilight Saga actor will be given his own replica waxwork at top London attraction Madame Tussauds and the model will be unveiled in January. 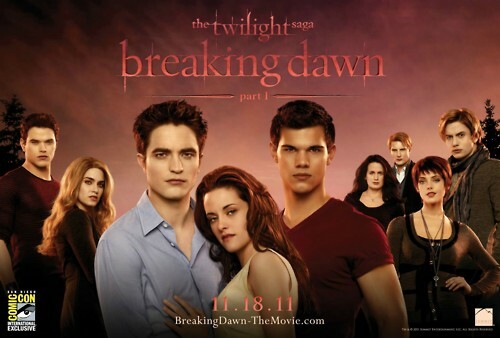 Taylor will join his Twilight costarRobert Pattinson after being one of 2011′s most requested personalities. Other stars to have waxworks at Madame Tussauds include Rihanna,Justin Bieber, Britney Spears, David Beckham and Brad Pitt. 11 Comments Posted in Taylor Lautner, Uncategorized Tagged Taylor Lautner is to be immortalized in wax! EW interview with the Twilight trio and new pics!! 7 Comments Posted in Kristen Stewar, Robert Pattinson, Taylor Lautner, Twilight, Uncategorized Tagged EW interview with the Twilight trio and new pics!! Lautner says his new movie has “got everything”. 1 Comment Posted in Taylor Lautner, Uncategorized Tagged Lautner says his new movie has “got everything”. Taylor Lautner fancies Jessica Alba. 4 Comments Posted in Taylor Lautner, Uncategorized Tagged Lautner fancies Jessica Alba. Taylor is finished with twilight? Leave a comment Posted in Taylor Lautner, Twilight, Uncategorized Tagged Taylor is finished with twilight?